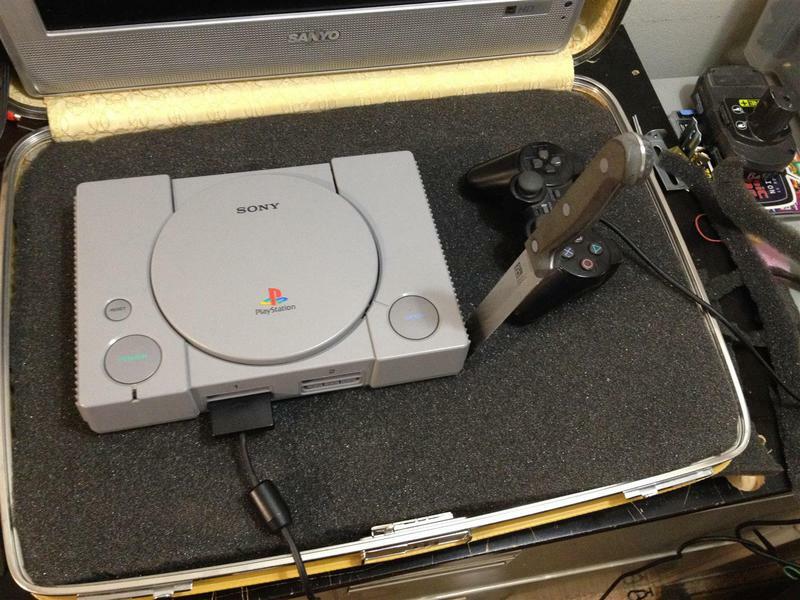 Need to pack up that game system for the Grandparents?! I have a solution! 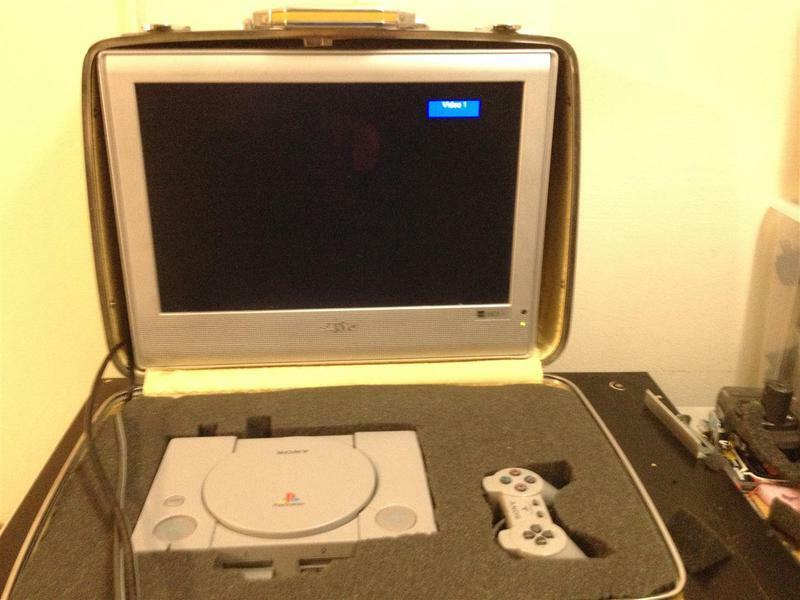 Sure, there is a PSone with an attachable LCD screen. But that's expensive, and that LCD is only five inches. We will make ours from common items you can find and purchase for under $50. I found most of the stuff in the garbage / junk pile over the course of a year. 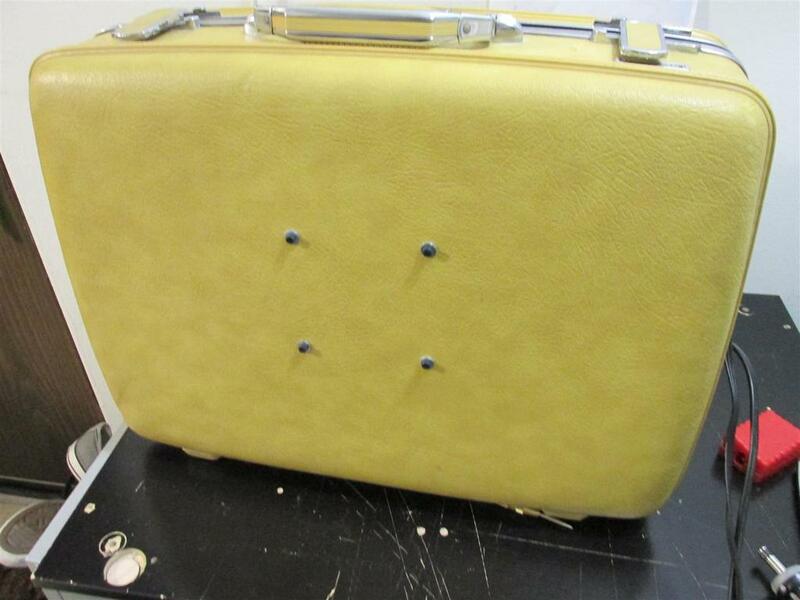 The only thing I bought was the M4 screws and yellow suitcase; which likely saw its peak-use before my Grandma was a grandmother. 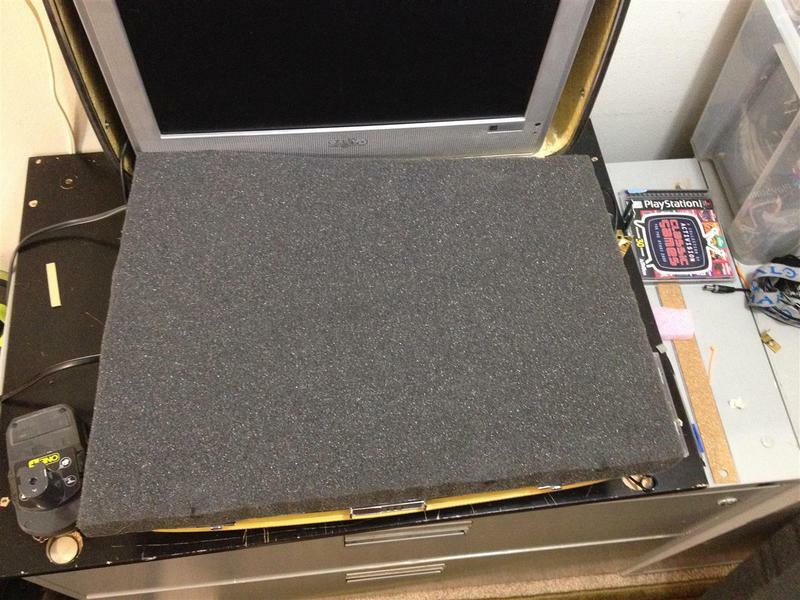 Old LCD TV (found in the dump). The TVs from pre-HDTV era's are great- they are cheap and unwanted. 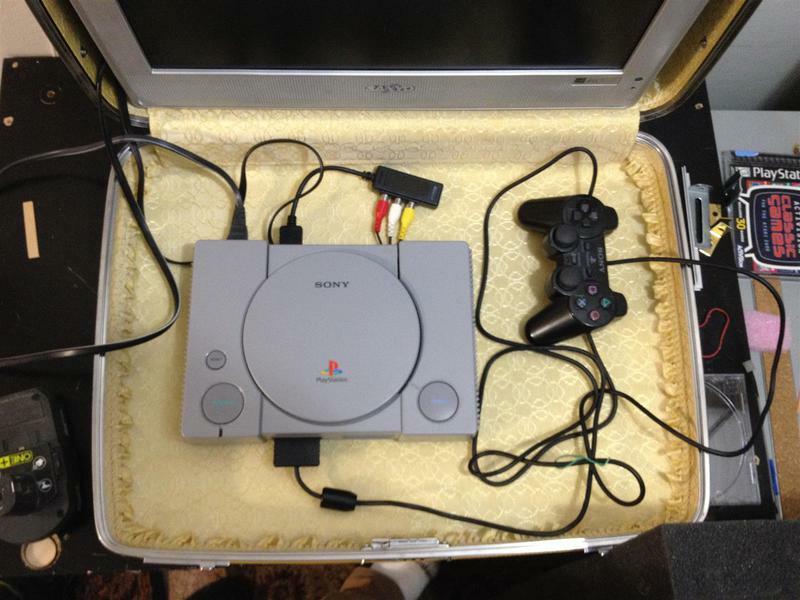 Suitcase ($4.95 at your local thrift store). 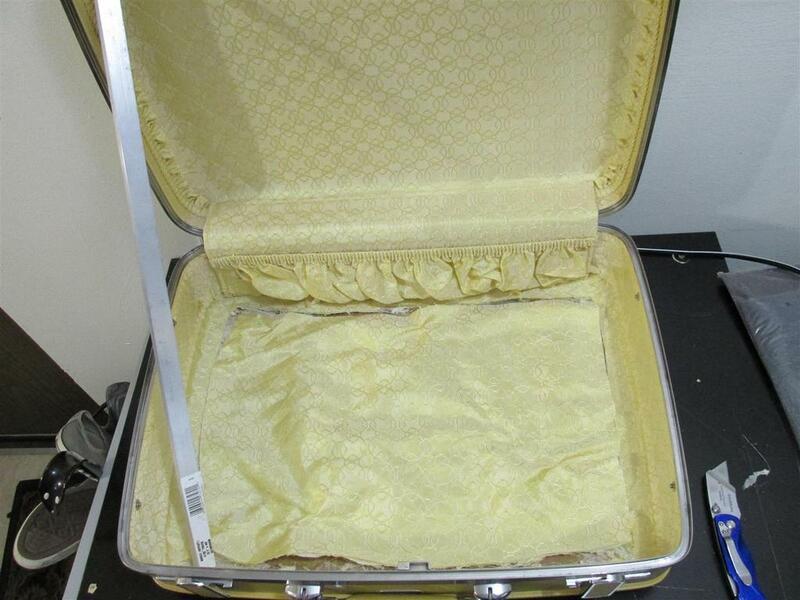 Bust open that suitcase. Remove the lining from the deep cavity. 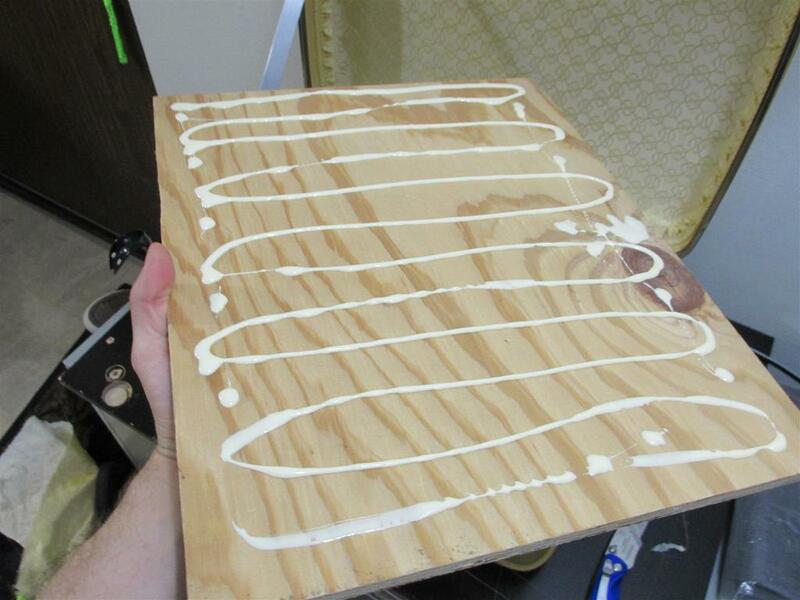 Take your piece of plywood and glue it to the bottom. 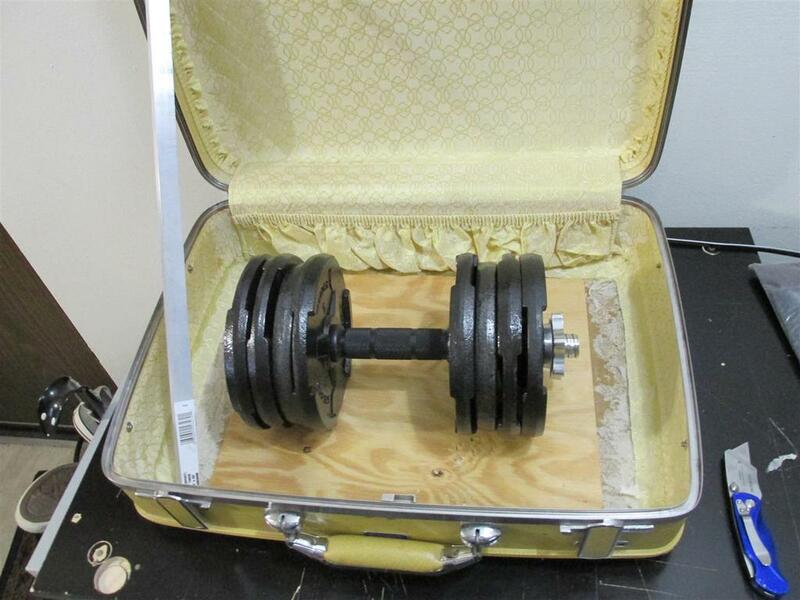 Add some weight so it dries flat (the suitcase is likely concave). 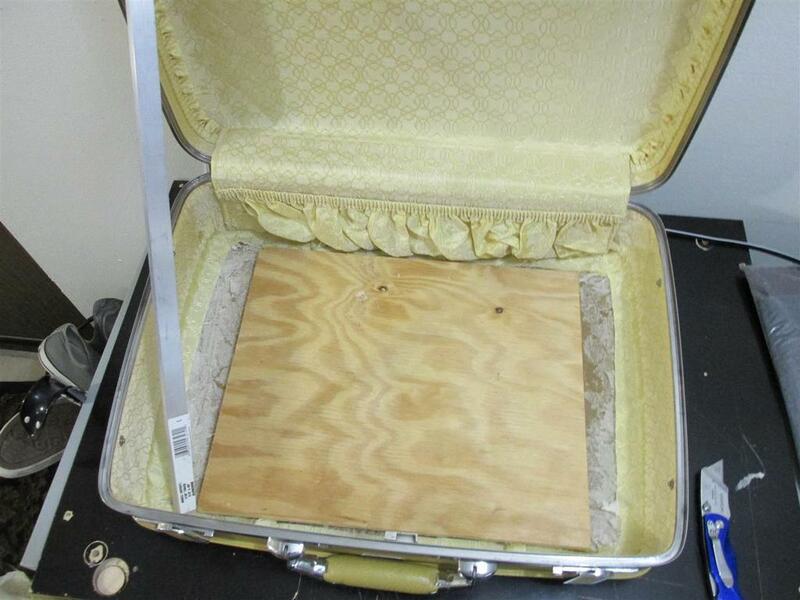 We want the wood to spread out of weight of the TV to the entire back side of the suitcase, making sure the wood glues flat to the suitcase is key here. 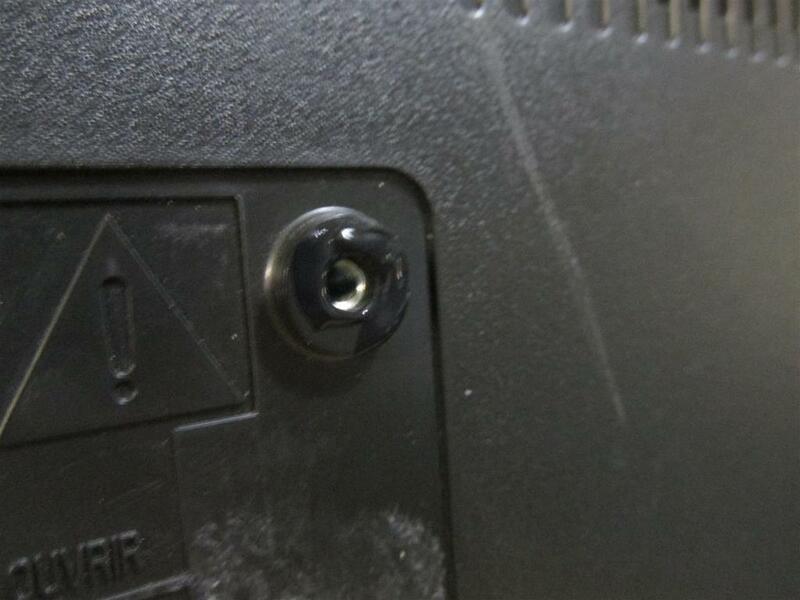 With your LCD TV, drop it in and position it so you have an idea where you want to mount the TV. Take note of where the power/volume/inputs buttons are. I mounted my slightly off center so I could reach these buttons. Now, how to figure out where to drill those holes? I blobbed some paint on the mounting holes. This transfers the hole locations to the wood. 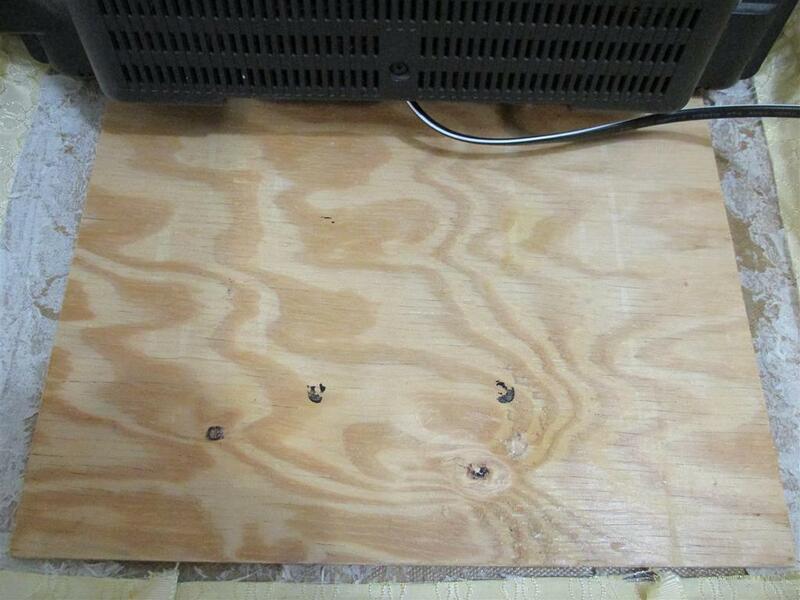 This only works so well, but I got a clear idea where two of the holes were to be drilled. 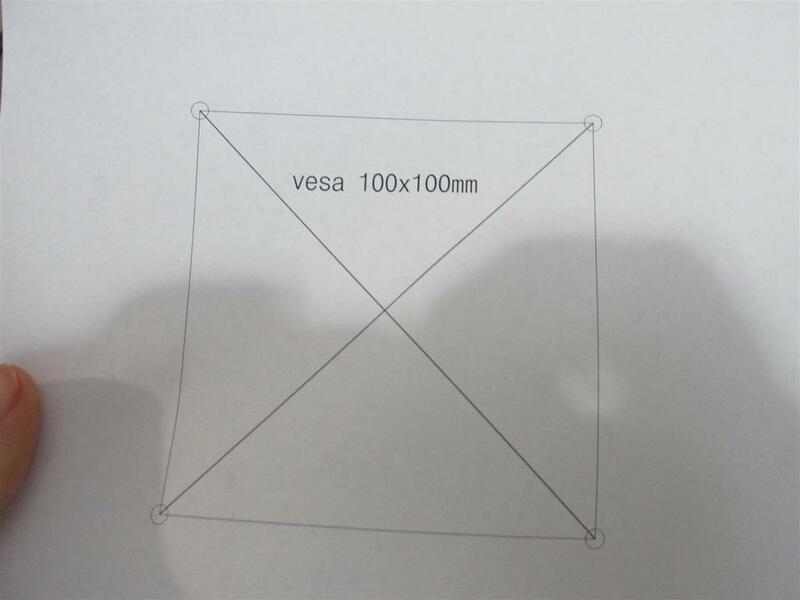 I then printed out a vesa pattern (100x100mm) and taped this to the wood and drilled the holes. I used a punch to make a small indent for the drill bit. This prevents the drill bit from 'walking' when you start each hole. 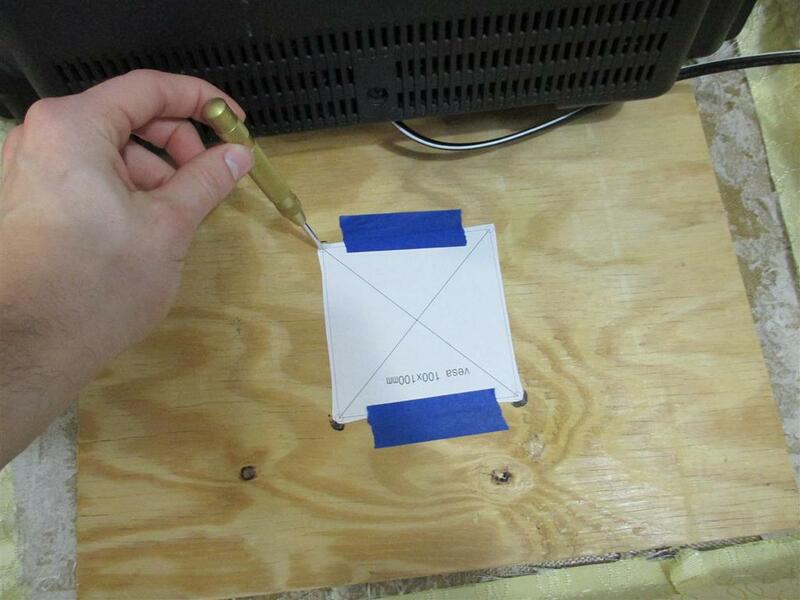 Since the mounting holes are rather precise for the vesa pattern, I recommend punching the holes. Connect whatever cables you think you'll be using with your build to the TV now. 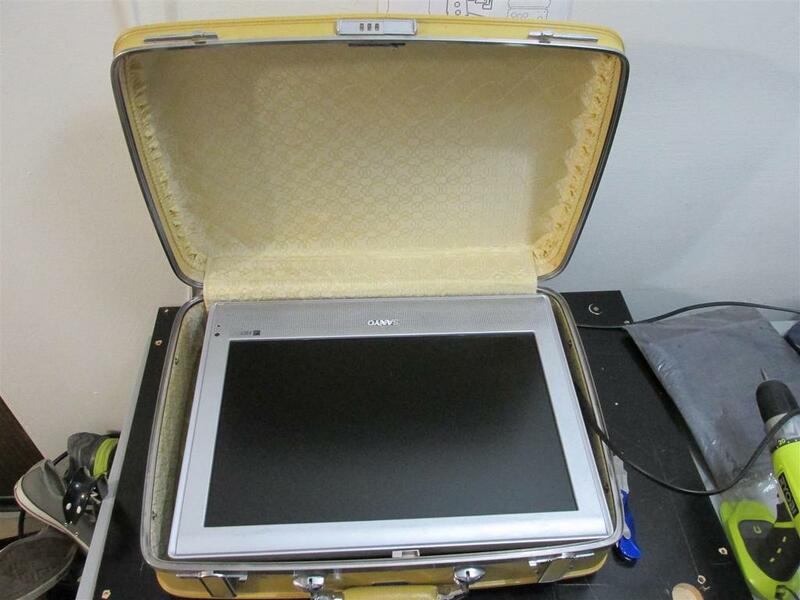 Do this before you mount the TV in the suitcase. 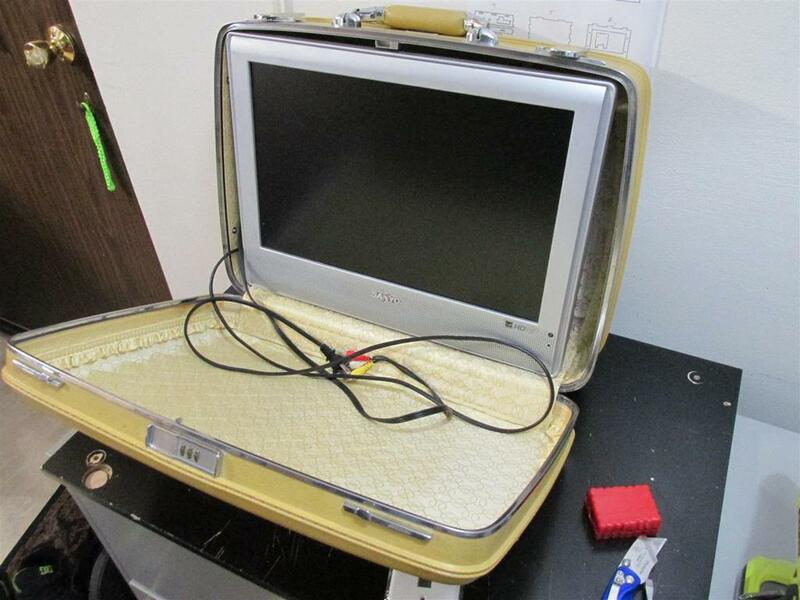 Take your M4 screws and fasten the TV to the suitcase. 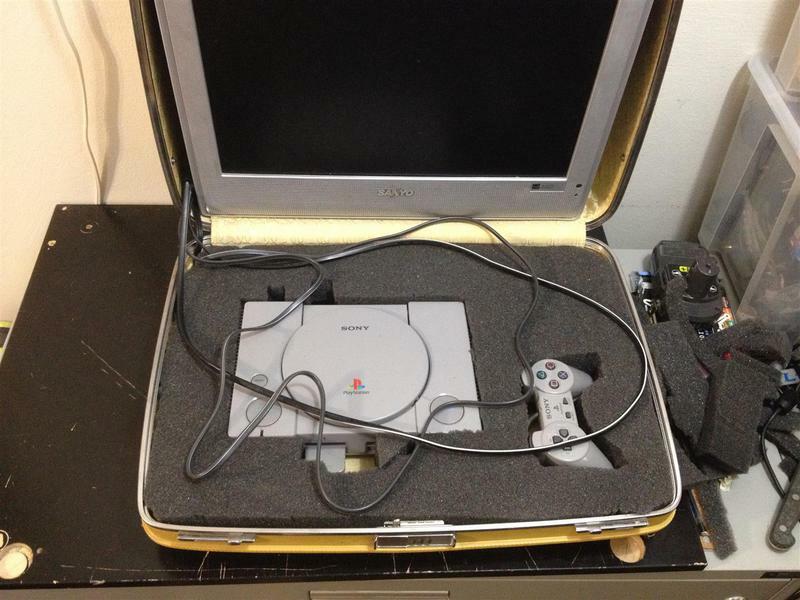 I spent a few days contemplating how to mount the PS1. 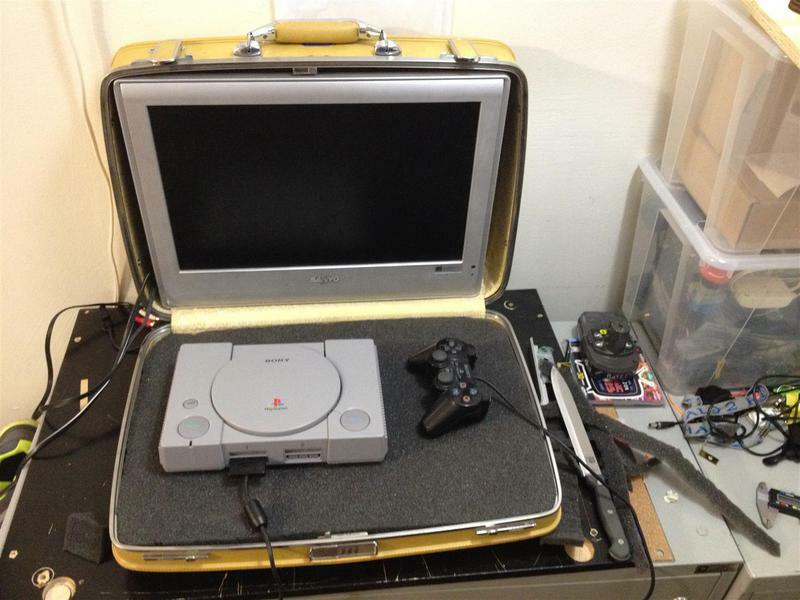 My biggest concern was not modifying or damaging the PS1 in the process. 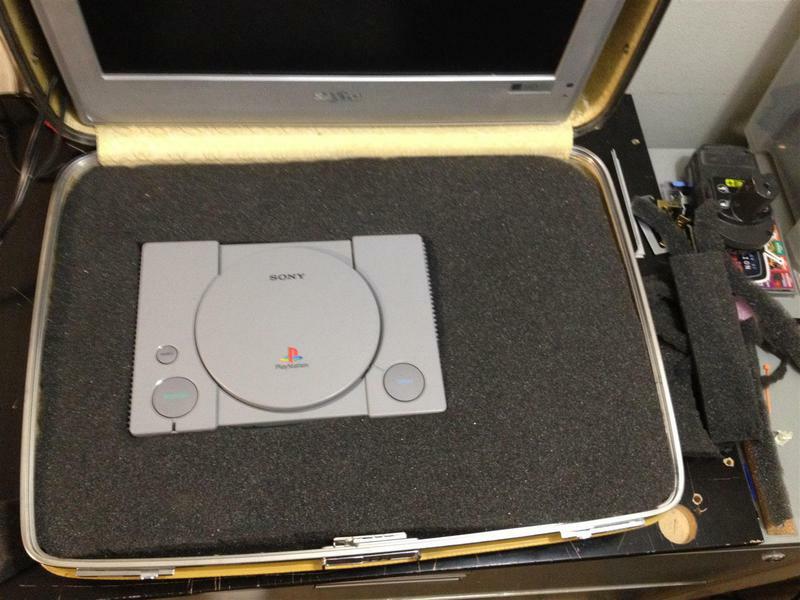 I picked foam as the friendliest way to keep the PS1 secure. First, place everything in and get a rough idea what your end goal looks like. 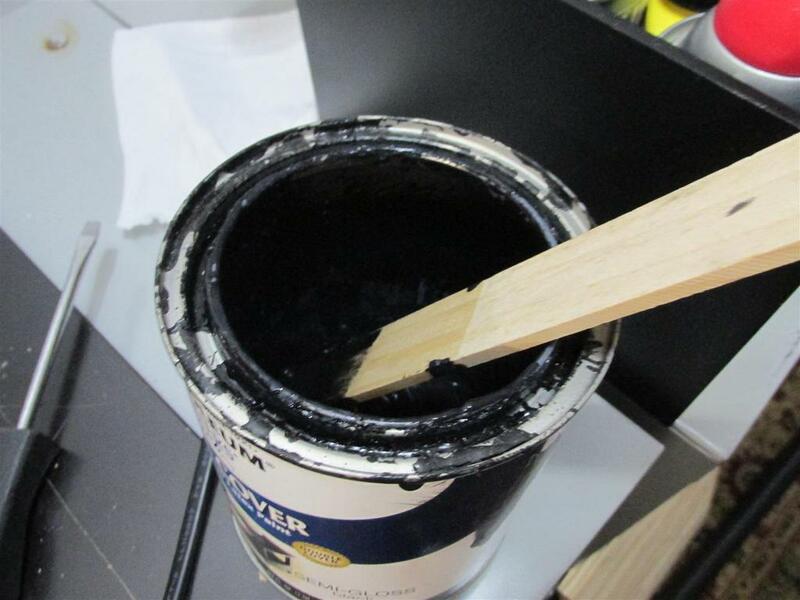 Now, cut the foam to fit. 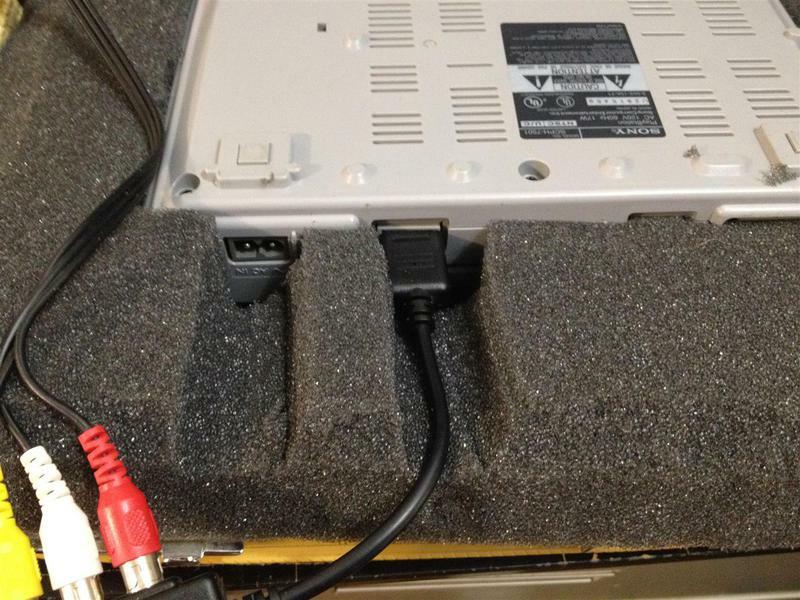 Make cutouts on the underside of the foam for power, A/V and controller cables. Doing this on the underside allows us to hide the cable routing under the foam, making the build look cleaner. 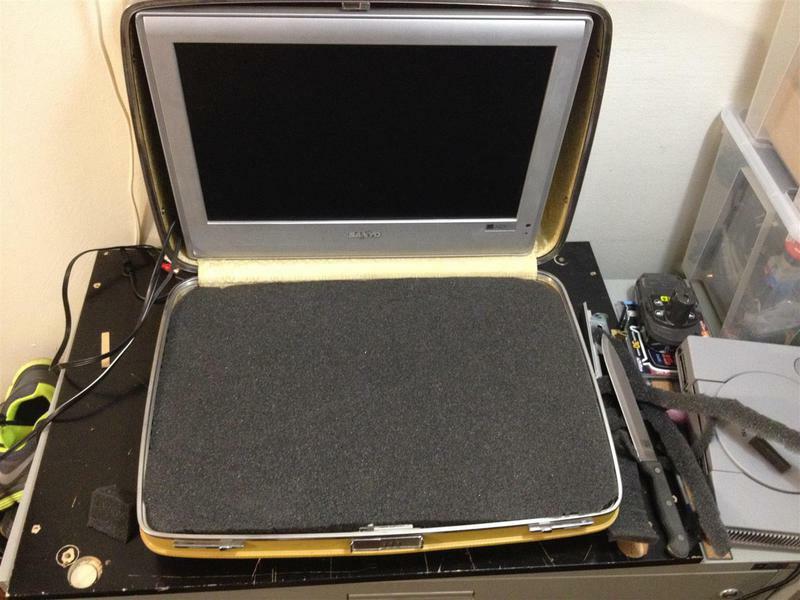 You will need to go back and forth taking small chunks out to make it all fit. Take your time here. 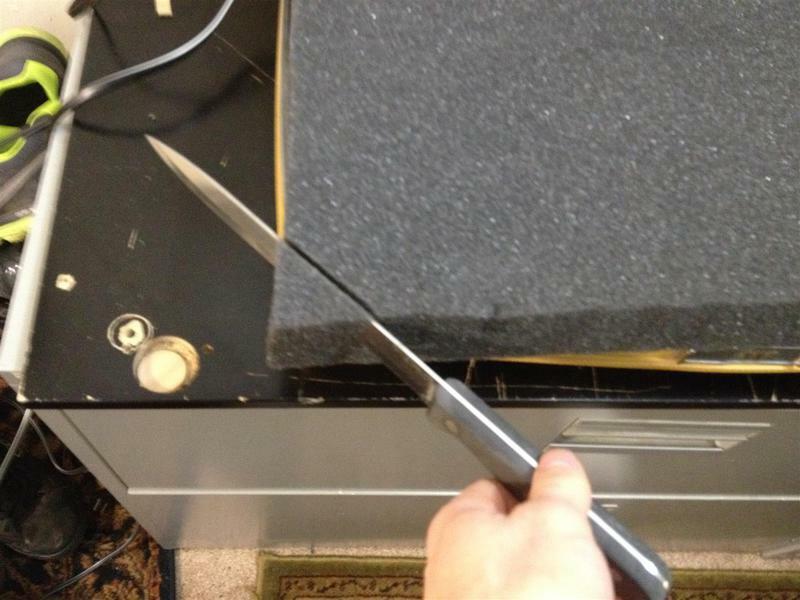 I am using a large non-serrated kitchen knife, as it's the only thing I have for cutting foam 'relatively' straight. 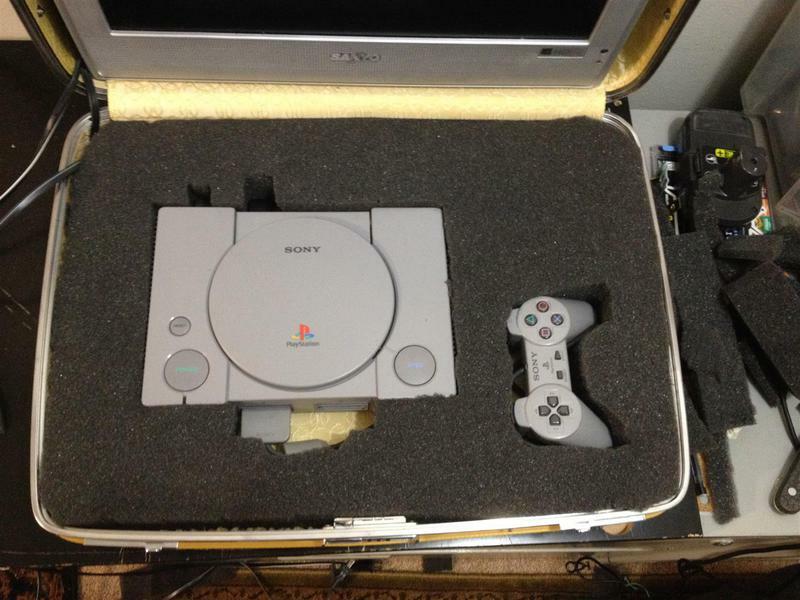 Cut a place for the controller. 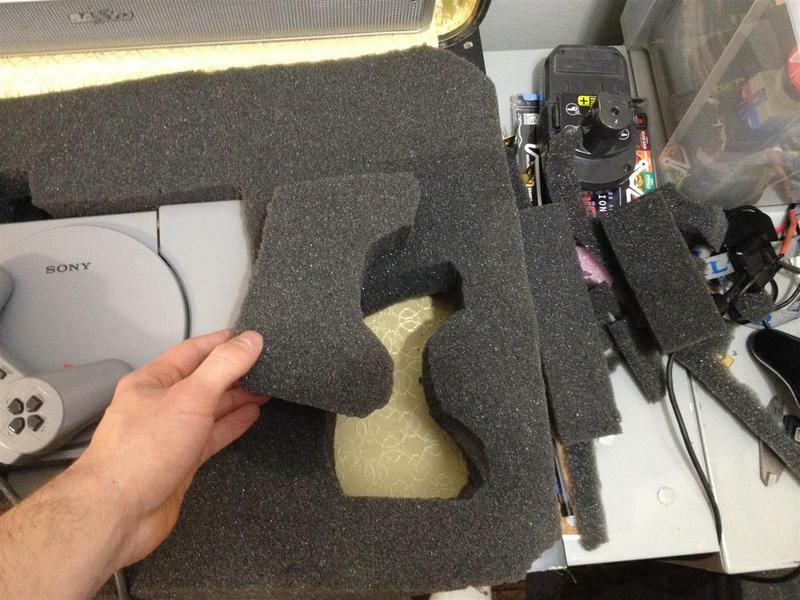 Again, route the controller cable under the foam for this cutout.